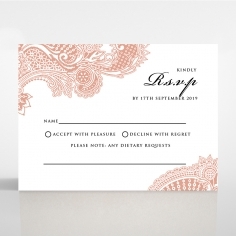 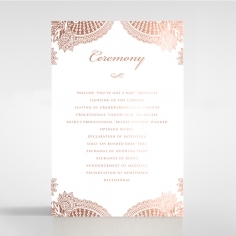 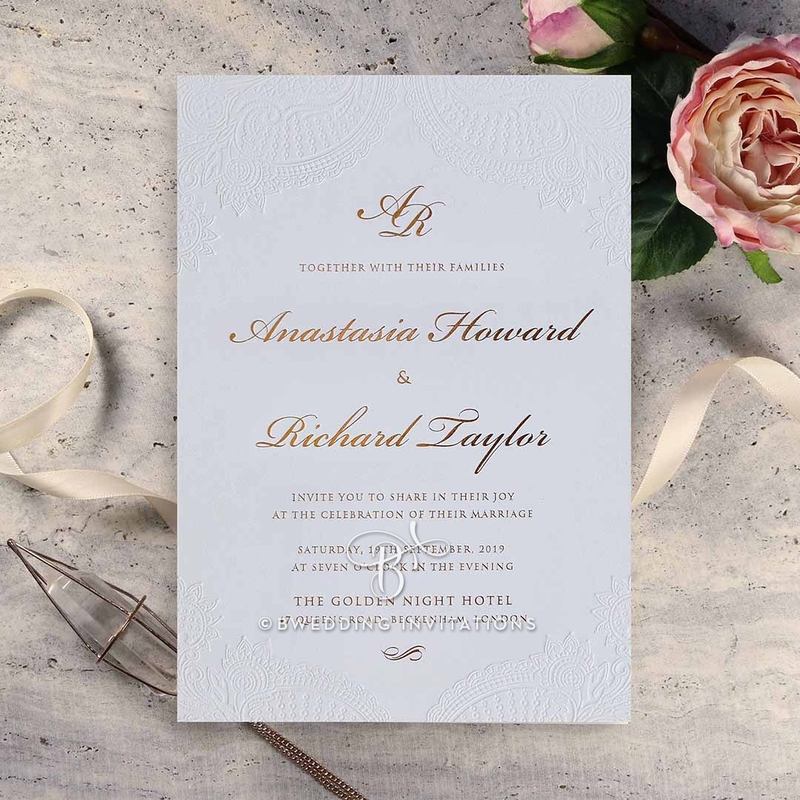 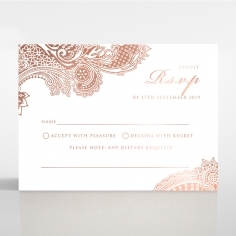 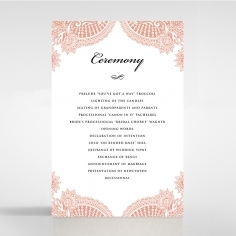 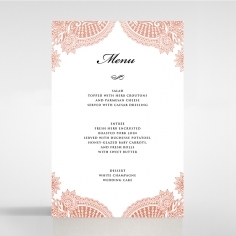 A beautifully timeless wedding invitation featuring a classical and romantic pattern with rich lines adorning the top and bottom corners. 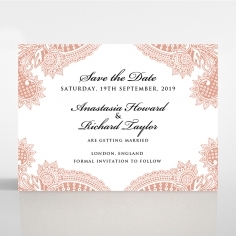 Fitting for the couple having a traditional and timeless wedding and want something with a simple design but is nevertheless sophisticated and stylist. 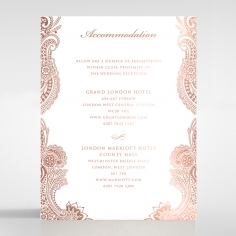 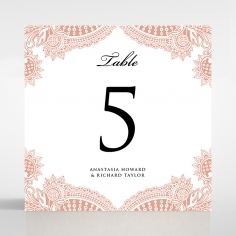 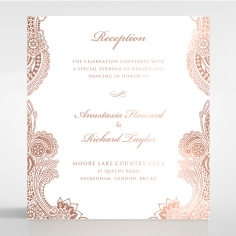 You and your partner's monogram will sit at the top before introducing the significant details of your celebration, all of which will be printed in luxurious hot foil stamping. 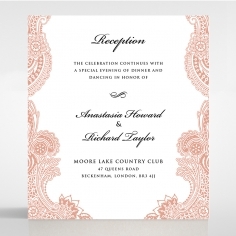 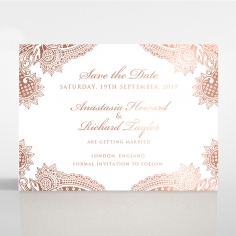 You can customize the foil stamping color, wording, fonts and layout to effortlessly suit your wedding theme and style. 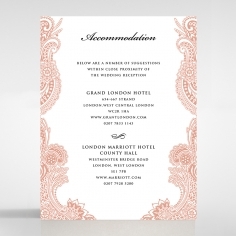 Printed on our thick luxury cotton paper stock this allows for the letterpress impression to stand out even more. 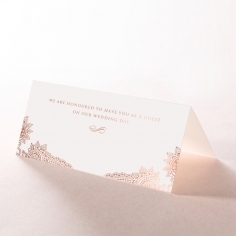 Absolutely beautiful artwork and very good service! I ordered the letterpress invitations and they arrived on time. 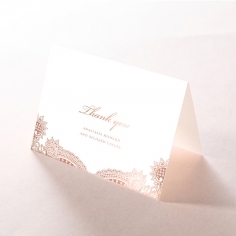 Everyone commented on how nice they looked! 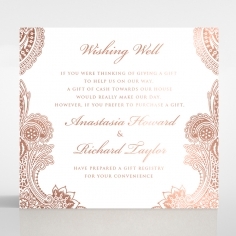 The envelopes looked great with the invitation, quite simple but very good quality. 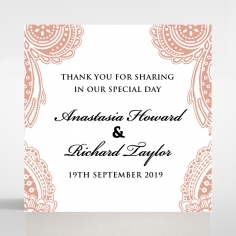 Had to be careful using ink pens but otherwise all good. 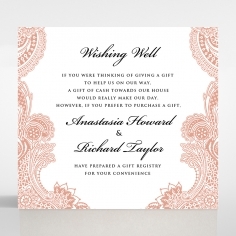 The process of ordering was easy and the editing thorough. Definitely recommend using this company!